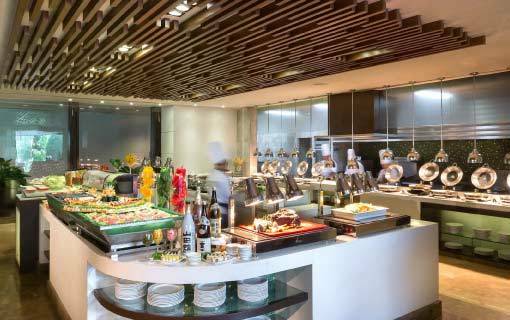 Be it Cantonese cuisine, international buffet, drinks at a bar or liveband in the lounge or party by the pool, Marco Polo Davao has many restaurants and a bar to cater to various palates. Marco Polo Davao hotel is not only about elegant rooms and warm service. Your stay in our hotel is incomplete if you have not sampled our exotic drinks or our mouth-watering preparations. 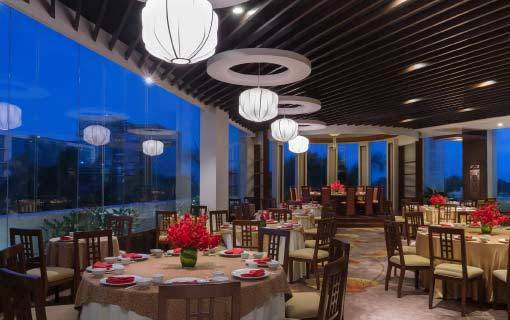 Whether it is the casual Lobby Lounge or the classic Eagles bar, the versatile buffet laden Café Marco or the Cantonese delight of Lotus Court Restaurant, not to forget, the lively Polo Bistro, dining at the Marco Polo Davao hotel is surely a culinary extravaganza! 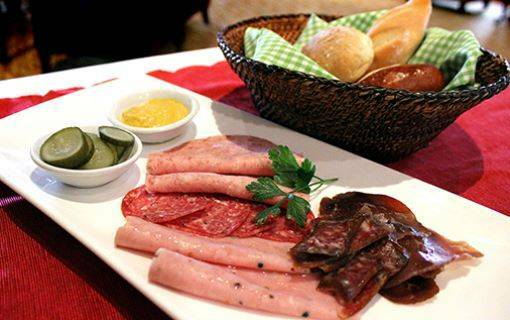 Take your first step to experiencing different cultures at Café Marco, where you are not only one of the privileged few to relish Davao’s sumptuous buffet but you also get to challenge your gastronomic preferences by trying cuisines from around the globe which take turns on the buffet menu daily. Breakfast - 6:00 A.M. to 10:30 A.M.
Dinner - 6:00 P.M. to 10:00 P.M. 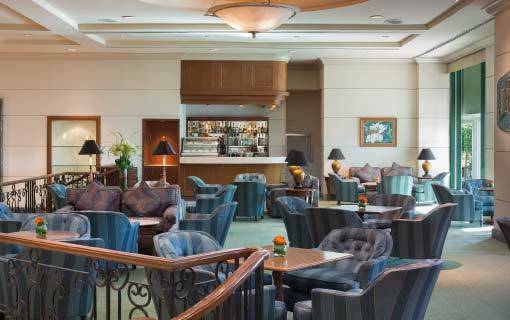 Enjoy international cuisine in the company of a live band or relish the signature high tea in the heart of Davao city at Marco Polo Davao’s Lobby Lounge. 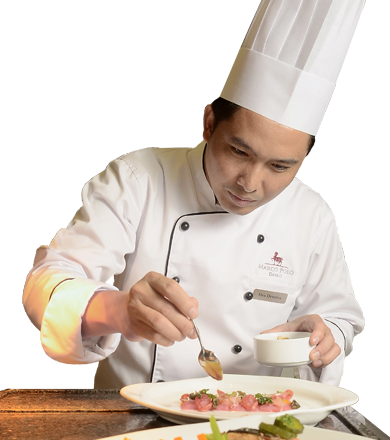 Surely one of the best Cantonese restaurants in Philippines, Lotus Court is all about an abundant array of fresh seafood served in sophisticated and cozy setting. 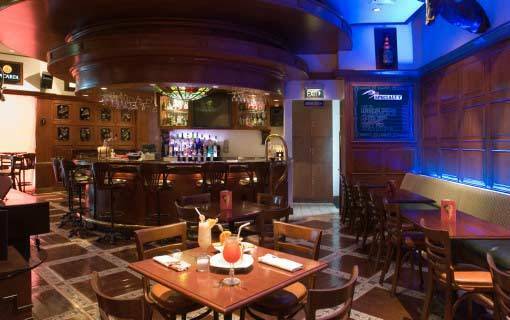 Lunch - 11 A.M. to 2:30 P.M.
Dinner - 6 P.M. to 10 P.M.
With a seating capacity of 48 persons, Eagles Bar which serves a range of liquors and cocktails is sure to become your next favourite haunt! The Polo Bistro serves excellent inter-Continental a la carte food. 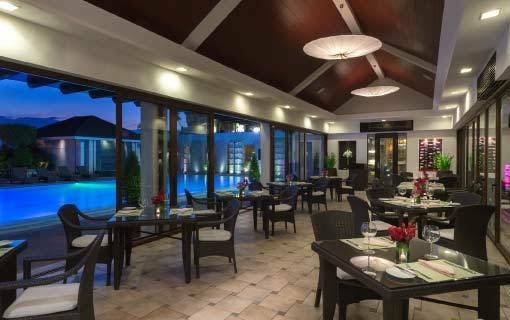 Housed in Marco Polo Davao, this outdoor restaurant provides a beautiful combination of ambiance and exquisite cuisine in the centre of Davao city. Dinner - 6 P.M. to 11 P.M. Enjoy a delectable meal in the privacy and comfort of your room or suite.